Today I thought I would share with you a card cased straight from the Annual Catalog. Do you know what CASE means? Copy And Share Everything. In the world of paper crafting, there is no shame in copying. I just like to make sure I give credit to the person whose idea I copied or cased. There are times when I see an idea that I like, but I might not have the exact products to duplicate, so I will change up the card to make it my own, maybe I'm just using the layout. This is perfectly acceptable and it also helps to jump start your creativity! The card I decided to case today, I left just was it was from the Annual Catalog, it can be found on page 166. 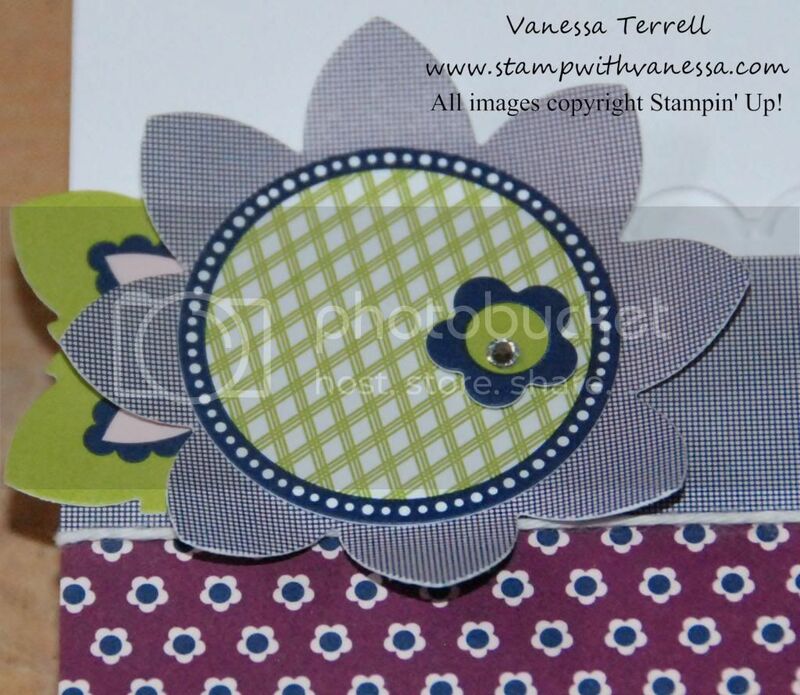 The reason I decided to case this card is because it uses the Razzleberry Splash Simply Scrappin' Kit and it was still out on my work table from last night and I have been wanting to make this card since seeing it in the catalog. So to work I went on caseing it! On the flower I used the flower stickers from the kit; did you know that if you don't want your stickers to stick you can swipe your embossing buddy across the back to remove the stickiness! 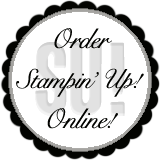 If you don't own and embossing buddy you can order one from my online store. So after I removed the sticky from my sticker I popped a dimensional on the back, hard to tell but I also curled up the edges of the flower! So there you have it a cased card! Your turn, be sure and share with me what you come up with! Such an adorable card! I appreciate knowing the acronym CASE, too. Very cool blog! Thanks Amy, appreciate your stopping by! How interesting and beautiful. You are talented and creative beyond measure. Thanks Cheryl! I appreciate your comments! Minette, yes run to your craft room and have fun! Thanks for stopping by!